In the 1960s, economists were talking about growth and development. Growth meant quantitative expansion of sectors. Development implied some qualitative changes propelling the economy and society to a higher level. In the 1960s,"sustainable development" meant growth with some self-propulsion and the ability to be sustained. My question, then, was: "Can you have sustainable pregnancy?" That is, pregnancy that is indefinite? It is neither feasible nor desirable to have sustainable pregnancy. In the pregnancy, we have the microcosm of both the quantitative expansion (the baby growing in the womb) and the qualitative leap after nine months when the pregnancy transforms into a baby that breathes through the nose, eats through the mouth, etc., instead of previously doing comparable activities through the umbilical cord. It is the same organism going through the different forms of life. In biology, they call it metamorphosis. The same applies to society. Ever since the evolution of man from the earlier primates into the homo-sapien four and-a-half million years ago, the society has been evolving from the hunter-gatherer communities that dwelt on trees and in caves, the invention of fire; use of ever-changing tools (stone, brass, iron, guns, spears, etc. ); the domestication of crops (agriculture) and the domestication of animals (pastoralism). The society has been evolving through feudal times; to the Industrial Revolution with its earlier three stages (the use of steam engines, the discovery of electricity and rail transport and the automation of the 1960s); and the unfolding 4th Industrial Revolution in the form of artificial intelligence where intelligent machines perform the work of the human beings. All these changes have been transformational quantitatively and qualitatively. Transformation is not just increasing quantitatively, it is also assuming a higher quality. After independence, I used to hear leaders talking of "double production" or production of more of the same product. This did not help as long as we were at the same qualitative level producing raw-materials and not adding value to them ourselves. In the 1960s and 1970s, when the only affluent part of the world was Western Europe and the USA, double-production of raw-materials meant over-supply which would result into lower prices. The price of copper collapsed. The price of coffee collapsed. The price of cotton collapsed. The year 1972 saw the lowest price of cotton because synthetic fibres had hit the market. It was only when people realized that some of the synthetic fibres were not good for the human skin that the prices of cotton started recovering again. The expansion of affluence to China, India and Brazil also saw the recovery and even the soaring of commodity prices. Copper hit the price of US$9,900 per tonne in the year 2010; coffee US$4,000 in the year1994; cement US$56.3 in the year 2017. When the NRM government came to power, I tried to promote our deposits of iron-ore at Usukuru hills, Muko, etc. I was told clearly by the different investors that there was a "glut" of steel on the world market and, therefore, there was nobody interested in steel. The price of steel that time was as low as US$200 per tonne. By 2008, it had hit US$900 per tonne. Double-production of the same product without making the qualitative leap of transformation leads one to labour "in vain." Transformation means a qualitative leap, not just quantitative expansion. By 1400 AD, many of the African societies were a bit like the European ones at that time. They were late iron-age and three class societies: the feudalists, the artisans and the farmers. However, by the time of the French Revolution, the European society had metamorphosed into a four class society: the old feudalists, the bourgeosie, the proletariat and the old residual class of the peasants (the farmers). It is the new classes, the bourgeosie (the middle class) and the proletariat (the working class), supported by one of the old classes, the peasants, that caused the French Revolution of 1789. Since that time, the European society has undergone further transformation with the shrinking of the feudal class and the disappearance of the peasant class. Today, Europe is a two class society: the middle class and the skilled working class. The middle class contains active entrepreneurial elements and the working class is skilled. These two elements have propelled Europe through the three Industrial Revolutions and are now pushing it into the 4th Industrial Revolution, the one of Artificial intelligence. In the last 600 years, the African Society has not metamorphosed. The African artisan class was wiped out by the colonial imports. Their artisan products were monopolized and replaced by colonial products - plates, spoons, cooking pots, textiles, leather products, etc. The feudal class, which was competing for power with the colonialists was decimated and replaced with the colonial civil servants (supported by African auxiliaries- court clerks, interpreters, colonial sergeants etc). The only class that survived was that of peasants who were put to growing colonial cash-crops (coffee, cotton, tobacco, tea, palm oil etc.) for supplying the colonial industries. With independence, although a lot of time was lost with military governments engaged in primitive fascism, many African governments have correctly identified two crucial stimuli that can catalyze social transformation. These are: education and health for all (human resource development) and private sector led growth. The two, education and liberalism in the economy, have the potential to cause social transformation. Especially the importance of the private sector was not clear to many African leaders. 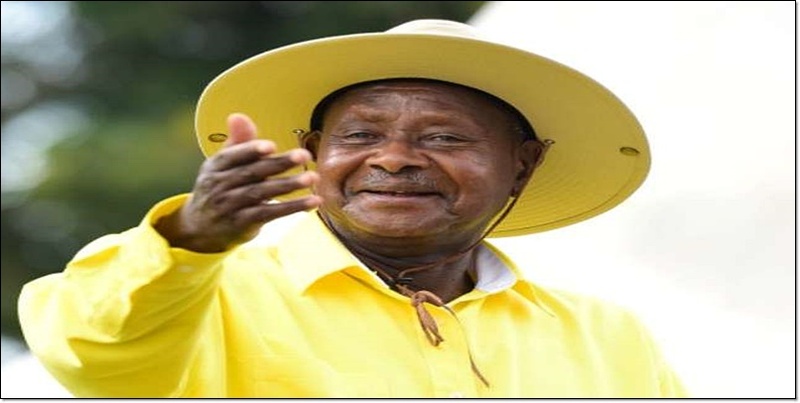 In Uganda, both Obote and Amin interfered with the private sector with the Nakivubo announcements of 1970 and Amin’s expulsion of the Asians in 1972. It is the NRM that firmly rejected this mistake by returning the properties of the Asians and liberalizing the economy. These sectors we liberalized by removing the role of the State companies have performed miracles. Removing government from the sector of transport and hospitality has stimulated a total of 1,685 private buses (2015/18), 10,940 taxis, 1,063,922 boda-bodas and 3,000 private hotels. All these are employing a total of 2 million Ugandans. Education imparts literacy, numeracy, intellectuality and skills. Such a product is totally different from the pre-capitalist populations that still dominate Africa. The pre-capitalist peasants only produce for homestead consumption. They have not acquired the useful concept of profit- that difference between the cost price and the selling price. Indeed, Adam Smith wrote that the pre-capitalist man is a jack of all trades and a master of none. Education per se is not enough. If it creates people who only want white collar jobs with no skills to enable them produce goods and services, it will only swell the number of the unemployed. They will have abandoned the subsistence farming of their parents without getting a skill in producing a good or service for the market either as employers or as workers. Apart from education and the liberalization that frees the private sector to be active and innovative, you need other enablers. I have, previously, characterized these as removing the ten strategic bottlenecks. Creating the enablers is removing those strategic bottlenecks. By addressing the issues of education and health as well as the issue of the freedom of the private sector in its efforts to create wealth and jobs, we would have removed two strategic bottlenecks. The eight remaining strategic bottlenecks are: ideological disorientation where emphasis is put on identity rather than on interests, leading to sectarianism; that creates a weak State that cannot guarantee security, a sine qua non of private sector growth; lack of infrastructure such as electricity, railways, etc., which results into high costs of doing business in an economy that undermines the profitability of companies and, therefore, limits their expansion; a narrow internal market that cannot absorb the products of large scale manufacture of goods and the expansion of services; stopping the export of raw-materials where we get only 10% of the value of the product and lose jobs to the outside; the under development of agriculture where, in the case of Uganda, 68% of the homesteads are still in the non-money economy where people produce only for subsistence; the under development of services such as tourism, insurance or hotels; and, in some cases, absence of democracy. When man invented fire, society was able to descend from the trees to the caves. The invention of iron, enabled society to more easily produce crops and also to have better weapons (spears, etc). The invention of gun-powder and its use in Europe, created a disequilibrium in the World Order of that time. Huge chunks of the globe were conquered and colonized by the possessors of gun-powder. Therefore, for Africa to undergo social-economic transformation, science and technology must lead the way. The scientists should, therefore, be well paid ahead of everybody else because we badly need them to copy or innovate the crucial scientific discoveries. Awareness of the issues raised above is very crucial for Africa’s transformation. Addressing the above issues will enable us to create prosperity for our people. How? By our producers generating a lot of goods and service products that find a ready market. The more we sell, the more we produce. The more we produce, the more jobs we create and the wider the tax base. The more taxes we collect, the better social services the African governments will provide. Today, the African population is 1.25bn with a purchasing power of US$6.757 trillion. By 2050 this population will be 2.5bn. Uganda alone will be 102 million people. With much bigger purchasing power, Africa will be the engine of the World economy provided we solve the bottlenecks.